The first tier of rail service is the metro. These systems run right into the centre of cities, often via underground tunnels, with frequent services carrying large numbers of passengers, the trains having many doors per carriage, lots of standing room, and few seats. But despite their geographical separation, these metro system all shared two aspects – a common railway station design philosophy, and the blue electric multiple unit trains built by Metrowagonmash and powered by the 3rd rail. The second tier of rail service is the электри́чка (Elektrichka) – suburban electric train. These trains run at ground level along tracks shared with freight and long distance passenger services, and stopping all stations along the way. 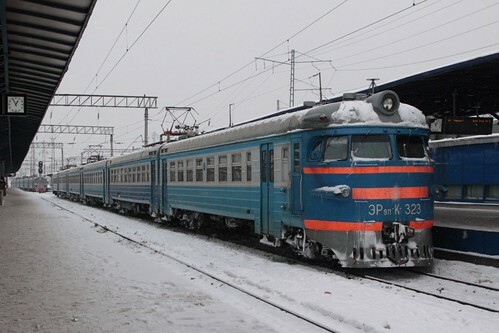 Elektrichka services can be found all over the former Soviet Union, running out of big cities such as Moscow to nearby commuter towns and neighbouring satellite cities, as well as linking other smaller destinations, on journeys up to a few hours in duration. Thousands of elektrichka were built by the Rīgas Vagonbūves Rūpnīca in Latvia, with their various ЭР (электропоезд рижский) series trains still in service today. Each is powered by overhead wires, trains being made up of up to 14 motor and trailer carriages, with steps giving access from low level platforms, with three-across bench seating being provided to passengers. Finally, we have long distance trains. 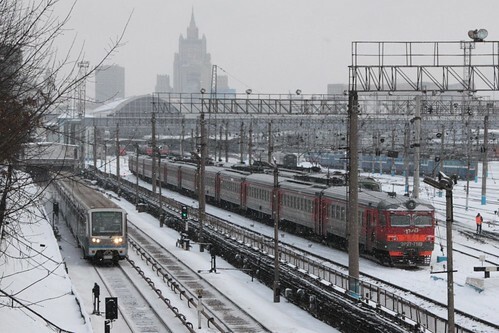 These services link major cities together, with journeys ranging a few hours, up to extended odysseys like the 45 hour long ride from Sochi to St Petersburg or the 9298 kilometre long Trans Siberian. 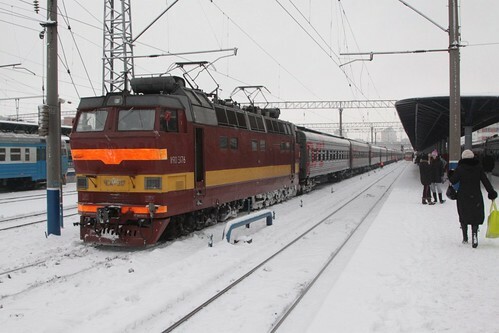 These trains are made up of a mix of sleeping, sitting and dining cars; hauled by either electric or diesel locomotives, depending on the route being travelled. Three classes of sleeping carriage are avilable spalny vagon, kupé and platskartny (2-berth, 4-berth, and open bunk) with express services between major cities are allocated the newest, most luxurious rolling stock, while slower trains to lesser destinations being allocated older ‘hand me down’ carriages. As with anything, there are always exceptions: various narrow gauge railways used their own passenger carriages, while a range of Дизельные автомотрисы (diesel railcar) operated suburban services on non-electrified routes. 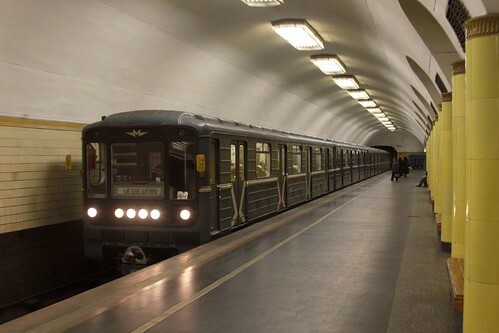 Lastochka trains are a modern version of the elektrichka. This entry was posted in Trains and tagged Elektrichka, metros, Moscow, rail operations, Russia, Russian Railways, Sapsan. Bookmark the permalink.